Day and night surveillance. 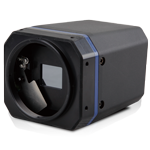 Thermal camera together with visible camera, auto-switch between thermal image and visible light image, constant surveillance. 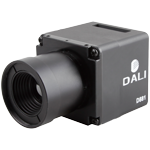 Thermal camera can capture any tiny infrared radiation from the object’s surface to generate image,does not need any visible light, and the image contract is higher. 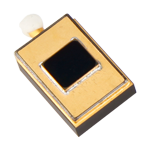 Farther and earlier detection.Thermal camera can detect much farther than visible camera, especially installed on tallpillar,surveillance distance and range will improve abviously. 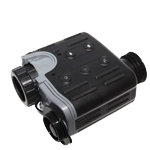 Anti-smog.When the environment visibility is bad, for example heavy fog, heavy smoke,thermal camera can bring you clear image. 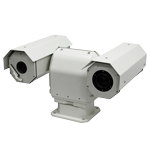 Prevent glaze and strong light.Due to thermal camera generates image by the infrared radiation of object doesn’t need visible light,so the glaze and strong light will not influence the image quality of thermal camera. Snap and record provide evidence.According to environment light intensity,system can switch image between thermal camera and visible camera automatically.DVR can snap and record which can supply evidence for accidents day and night. 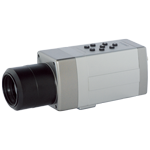 Surveillance and control day and night.Full channel real-time to display thermal image and visible light image,auto-switch between these two images.Control any PTZ,thermal camera or visible camera by keyboard or remote access.Fast switch or recall any channel image manually or automatically. Alarm and analysis System log checking, remote alarm information collection and processing. In alarm center, server PC can send email to the mail to address you set with pictures or video.Background software has multilevel maps management and alarm linkage functions. Record and playback.Full channel real-time record and playback,can record the whole procedure of abnormal situation,supply real and intuitive material for further prevention and analysis.Input the search key words(select search according time,place,event or channel number firstly)then you can get the corresponding record. Remote access.Remote monitoring the images in real-time.Reomte control the position of PTZ,thermal camera and visible camera.Remote gathering alarm signal and information.Remote checking and playback history image and record.Remote downloading record.Access by IE to visit and control.Network fault alarm.